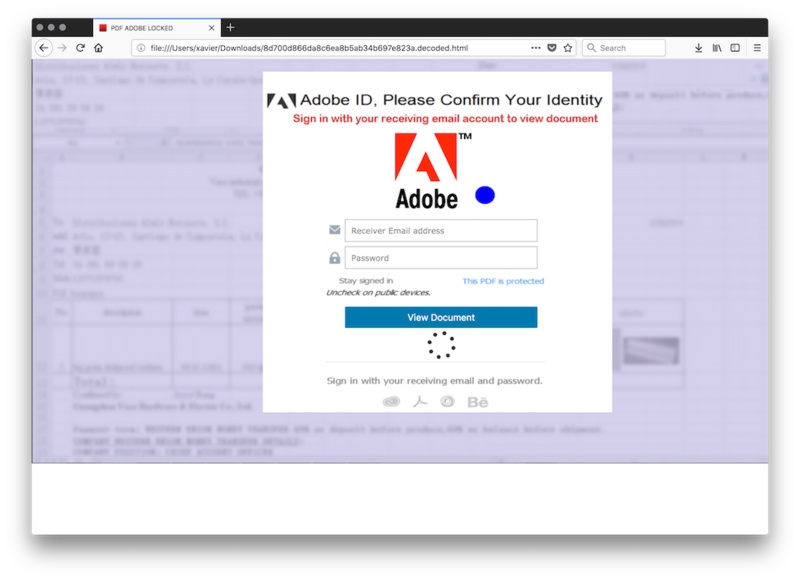 When you build a phishing kit, they are several critical points to address. You must generate a nice-looking page which will match as close as possible to the original one and you must work stealthily to not be blocked or, at least, be blocked as late as possible. If the compromised server is cleaned, there is a risk for the attacker to lose all the stolen data. The domain/IP address of the server can be quickly reported as malicious and injected in lists of IOCs. JotForm is a cloud service that helps to build online forms. Advantages for the attackers are multiple. Collected data can be analyzed, exported, each submits to a form can generate email notifications, everything is HTTPS based and… probably the most interesting: jotform.com is ranked #6532 in the Alexa top-1M and jotformeu.com is ranked #139946. So, chances to be blocked are reduced because jotform is used by many valid websites and many organizations exclude the Top-X websites from their blacklists to avoid annoying users. In the case described here, I contacted JotForm and, after some investigations, they suspended the abused account within a few hours. Thanks to them!